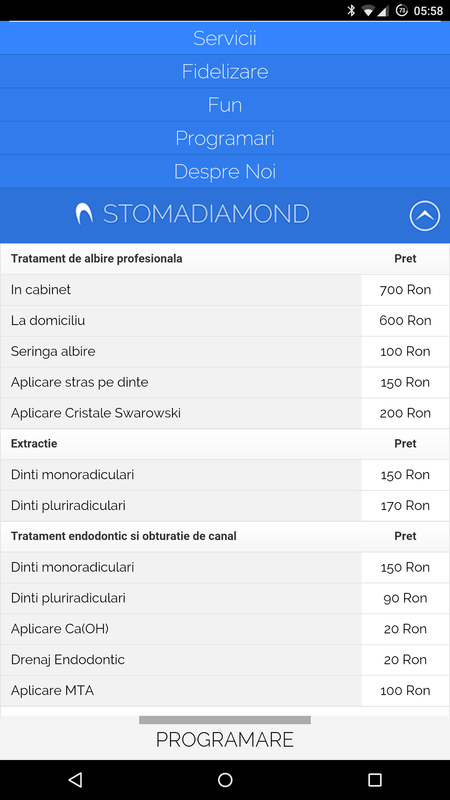 Stomadiamond is a small dental care clinic situated in Bucharest that provides professional services and personalized prices based on their patients’ needs. 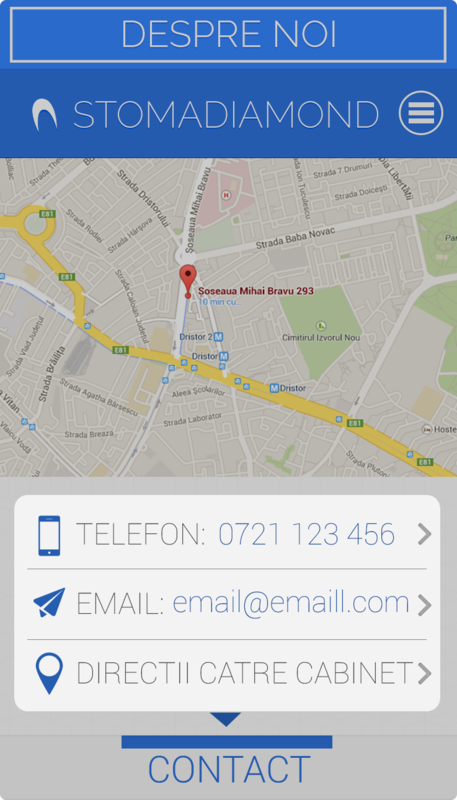 And because patients needs evolve along with technology, Stomadiamond offers them a mobile app in order to stay a head of their needs. With it, patients can always be in touch with the clinic by using the contact form even when they’re not there, make an appointment, or if they’re there waiting, play a puzzle game to get their mind off of their dental problems! © 2019 2xStudio - Your personal genie in a digital bottle!